Would you like your Coffee Whole Bean or Freshly Ground? How would you like your coffee ground? 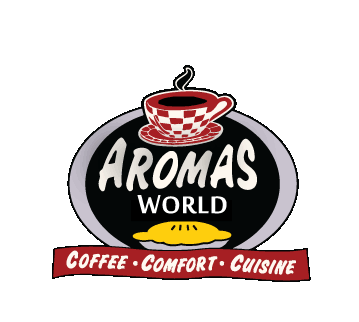 If this order is part of an Aromas Great Coffee for Great Causes Fundraising Contract, Please specify the organization that will receive the donation. Do we have permission to inform the recipient of your name and email address? 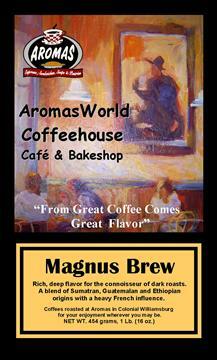 Magnus Brew has components of dark roasted French, Colombian Extra Fancy, Sumatra and Guatemalan blended & brewed for a full flavored cup.